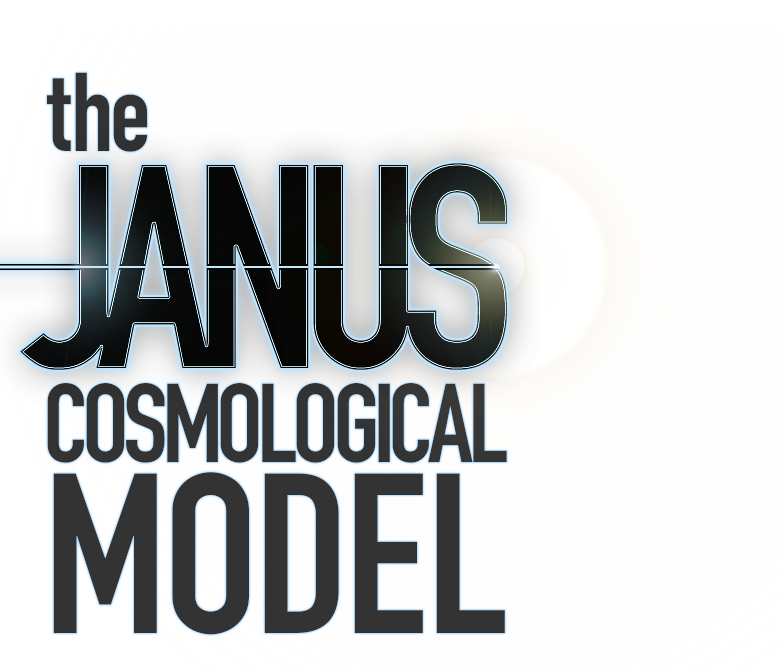 The Janus cosmological model: a paradigm shift. The Janus Cosmological Model (JCM) describes the universe as a Riemannian manifold with two different metrics that handle positive and negative masses in general relativity with no paradox, in very good agreement with latest observational data. The theory is published in peer-reviewed academic journals. The Janus Cosmological Model merges Albert Einstein's theory of general relativity, Andrei Sakharov's work in particle physics and cosmology, and Jean-Marie Souriau's work in symplectic geometry. All scientific papers cited in this page are listed below. You can open PDF files clicking on their title. Purple labels are original papers cited for historical purpose. If you know some maths (student, scientist, engineer…) and you are discovering the Janus cosmological model, we suggest to begin with red labels which are most recent core papers. As for Green labels, they are popularization courses (science comics) from the author, perfect to begin with. Other books and publications of interest are listed at the Bibliography page. "Univers jumeaux, énantiomorphes, à temps propres opposés"
Comptes rendus de l'Académie des Sciences (in French). Paris: French Academy of Sciences. 263: 1315–1318. "Univers en interaction avec leurs images dans le miroir du temps"
Comptes rendus de l'Académie des Sciences (in French). Paris: French Academy of Sciences. 284: 1413–1416. "An interpretation of cosmological model with variable light velocity"
Modern Physics Letters A. 3 (16): 1527–1532. doi:10.1142/S0217732388001823. "Cosmological model with variable light velocity: the interpretation of red shifts"
Modern Physics Letters A. 3 (18): 1733–1744. doi:10.1142/S0217732388002099. "Gauge cosmological model with variable light velocity: Comparizon with QSO observational data"
Modern Physics Letters A. 4 (23): 2201–2210. doi:10.1142/S0217732389002471. Il Nuovo Cimento B. 109 (7): 697–709. doi:10.1007/BF02722527. Astrophysics and Space Science. 227 (2): 273–307. doi:10.1007/BF00627375. "Bigravity: a bimetric model of the Universe with variable constants, including VSL (variable speed of light)"
International Meeting on Variational Techniques. Le Mont-Dore (France). arXiv:0803.1362. "A bimetric model of the Universe. Interpretation of the cosmic acceleration. In early time a symmetry breaking goes with a variable speed of light era, explaining the homogeneity of the early Universe. The c(R) law is derived from a generalized gauge process evolution"
11th international conference on Physical Interpretations of Relativity Theory (PIRT XI), Imperial College, London. "Twin matter against dark matter"
Marseille Cosmology Conference Where's the Matter? Tracing Dark and Bright Matter with the New Generation of Large Scale Surveys, Marseille, France. "I- Matter, antimatter and geometry. II- The twin universe model: a solution to the problem of negative energy particles. III- The twin universe model plus electric charges and matter-antimatter symmetry". arXiv:0712.0067. "Bigravity as an interpretation of the cosmic acceleration"
International Meeting on Variational Techniques. Le Mont-Dore, France. arXiv:0712.0067. "Negative mass hypothesis in cosmology and the nature of dark energy". Astrophysics and Space Science. 354 (2): 611–615. doi:10.1007/s10509-014-2106-5. "Cosmological bimetric model with interacting positive and negative masses and two different speeds of light, in agreement with the observed acceleration of the Universe"
Modern Physics Letters A. 29 (34): 1450182. doi:10.1142/S021773231450182X. "Lagrangian derivation of the two coupled field equations in the Janus cosmological model"
Astrophysics and Space Science. 357 (67). doi:10.1007/s10509-015-2250-6..
"Cancellation of the central singularity of the Schwarzschild solution with natural mass inversion process"
Modern Physics Letters A. 30 (9): 1550051. doi:10.1142/S0217732315500510. Progress in Physics. 14 (1): 38–40. "Constraints on Janus Cosmological model from recent observations of supernovae type Ia"
Astrophysics and Space Science. 363 (7): 139. doi:10.1007/s10509-018-3365-3. "Janus Cosmological Model and the Fluctuations of the CMB"
Progress in Physics. 14 (4): 226–229. "Physical and Mathematical Consistency of the Janus Cosmological Model (JCM)"
Progress in Physics. 15 (1): 38–47. "On evidence for negative energies and masses in the Dirac equation through a unitary time-reversal operator"
Journal of Physics Communications. 2 (11): 115012. doi:10.1088/2399-6528/aaedcc. arXiv:1809.05046. 22 Petit, J.-P. (2008): "The Twin Universe"
The Adventures of Archibald Higgins. Savoir Sans Frontières. 23 Petit, J.-P. (2008): "Faster Than Light"
24 Petit, J.-P. (1980): "Here's Looking at Euclid"
25 Petit, J.-P. (1985): "Black Hole"
Also edited in print: Los Altos: W. Kaufmann. ISBN 086576069-1. 26 Petit, J.-P. (1985): "Topo The World"
Also edited in print: Los Altos: W. Kaufmann. ISBN 086576092-6. 27 Petit, J.-P. (1986): "Big Bang"
28 Petit, J.-P. (1986): "A Thousand Billion Suns"
29 Petit, J.-P. (1990): "The Chronologicon"
Are you a scientist? Let's discuss! * Ph.D in kinetic theory of gases and plasma physics. Specialist in magnetohydrodynamics, topology, astrophysics and cosmology, retired from the Laboratoire d'Astrophysique de Marseille, Aix-Marseille University/CNRS, France.